Introduction: The purpose of this paper is to demonstrate how difficult even the most highly educated and sophisticated Christians of the late fourth and early fifth centuries found it to rid themselves of the idea that envy lends a malign power to men’s eyes. The idea at issue is that the eyes of envious men are able, unaided, to inflict injury at a distance. 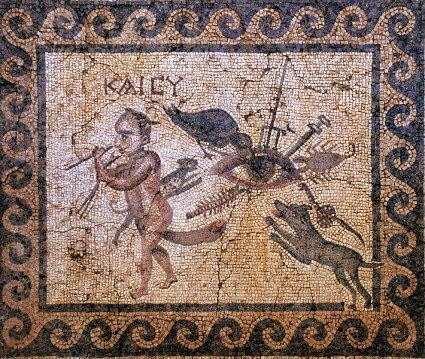 This is the belief called the “evil eye” by speakers of English and other modem European languages, though that significantly is not the way in which most men in pagan and Christian antiquity would have referred to it. The difficulty that such fathers of the church as Basil, Jerome, and John Chrysostom had with freeing themselves from the idea is some indication of how deep-seated it must have been in the general population. 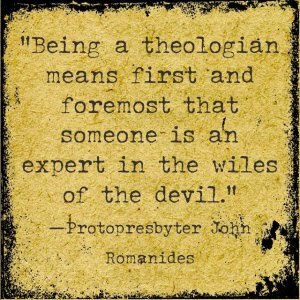 I shall also try to show that these church fathers, who do attack belief in the evil eye, address only one aspect of a much larger constellation of beliefs. They leave unquestioned the assumption that there are envious supernatural forces out there eager to destroy prosperity, virtue, and beauty. Their failure to deal with this larger issue is a further indication of just how much a part of men’s mental make-up must have been the conviction that life was beset by unseen envious forces. We see evidence of that fear in the many amulets that survive from this period. It is important to bear in mind that the fear reflected in these objects is not directed specifically at the evil eye as the fathers of the church construe it but at a much wider spectrum of dangers. In the case of Basil and John Chrysostom, and perhaps to a lesser extent Jerome, there is a further factor that has affected their thinking about the evil eye: the influence of pagan philosophy has made them concentrate their attention on a severely restricted conception of the evil eye to the exclusion of other related beliefs.